I have to write this quickly because I had an epic fail of my own – I managed to record a blue screen instead of the game, so I can’t go back and review anything. It’s ironic that I spent half of Saturday trying to warn St. John’s and/or Rutgers fans about the stupidity of Seth’s old teams, because the last 15 seconds of tonight’s 58-57 loss to N.C. State will go right into the hall of shame along with some of the dumbest things they ever did. And they did some extremely dumb things… I think the worst was the time Seth tried to pull his Harry High School “let’s run off to the locker room to pretend like we have momentum when we make a basket right at halftime” routine when there were still 45 seconds left in the half. It was the shot clock buzzer, not the regular buzzer. He obviously was hit with a T. But I digress. 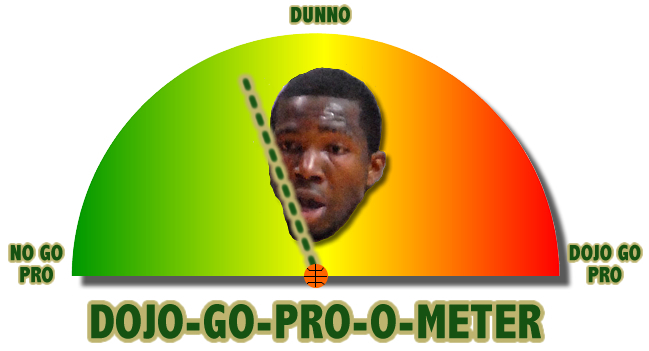 So after all that, DoJo is coming up the floor with five seconds left. He has gone coast to coast and scored on numerous occasions. He just did it three weeks ago against Providence to win that game. So now, we’re going to have him give up the ball when no one else on the team has proven they can score consistently in this game. And not only that, but he’s going to give the ball up by passing it just across halfcourt, without even getting close to the rim, before the defense collapses on him. THAT WAS DUMB. Howard had nowhere to go, he barely got it to Gus, who had his shot blocked at the buzzer. Game over, thanks for playing. Sure, USF had a good season overall, but that ending is going to leave a really sour taste in my mouth. Steven from the NC State blog Backing the Pack was nice enough to participate in a special NIT edition of Bulls Recon. Both Voodoo 5 and I sent over some questions, and the answers are below. Check it out after the jump. I was going to write about USF’s matchup with NC State tomorrow night, but Scott Carter of the Tampa Tribune has reported that Jim Leavitt has filed suit against USF, and is seeking the 7 million dollars owed to Leavitt under the terms of his contract. You knew that this was only a matter of time after mediation attempts failed last month and learning last week that accuser Joel Miller was not going to sue Leavitt. I’m sure that this will end well.